Quick question: Are you busy house hunting? If so, take a breather and daydream of a coastal Carolina locale. Imagine it’s a peaceful Saturday morning. You’re rocking in a comfy chair on your front porch. As you gaze upon your lush lawn, a chipper bird sings from the nearby tall trees. Just across the way, a delicate butterfly swoops around the shapely shrubs and flourishing flowers. Along the quiet street, a friendly neighbor walks over to say hello. 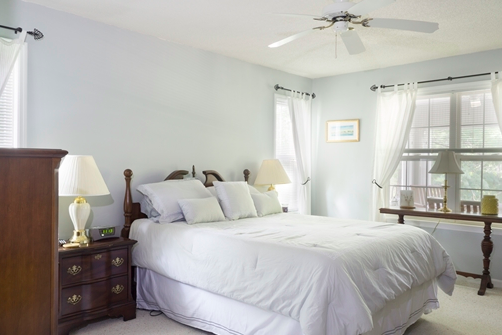 With an assignment to Marine Corps Base Camp Lejeune, you can have a dreamy setting with this MilitaryByOwner Swansboro, North Carolina listing. Boasting over 2,300 square feet, this open concept floor plan provides more than enough space for your day-to-day schedule. 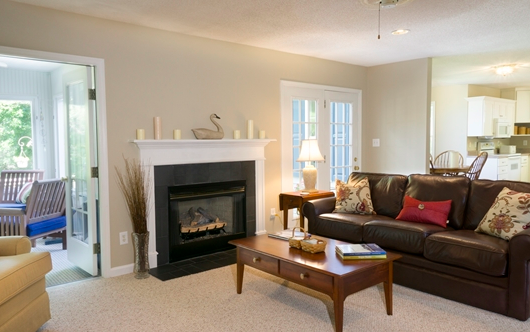 The gracious family room leads to a sensational sun porch, an elegant dining room, and an inviting white kitchen. Glossy honey wood floors, premium plush carpet, and pleasing seaside paint colors accent this delightful Carolina chateau. After a lively day on the neighboring beaches of the Crystal Coast, each member of your military family can retreat to their own space in this 3-bedroom, 2½-bath home. The decadent main floor owner’s suite includes a splendid master bath, which adjoins to deep closets for abundant storage. From this amiable Swansboro address, there’s no need to be in a rush to leave for work since your commute to Camp Lejeune is only around 30 miles or so. 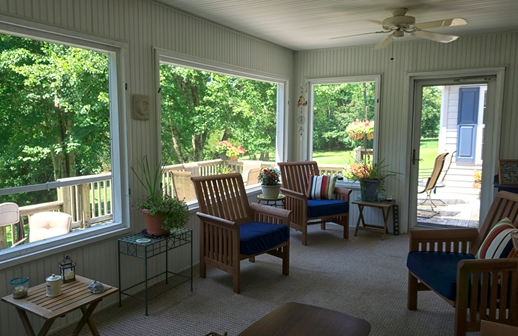 Welcome cheerful sunshine all year long in the comforts of this enchanting enclosed porch. With easy access to the deck and patio, you’ll have ample indoor/outdoor entertaining space for get-togethers with friends and neighbors. Down the way from your woodsy backyard, admire the sunset reflection on the slow waters of Swansboro's Steven’s Creek from your private dock. 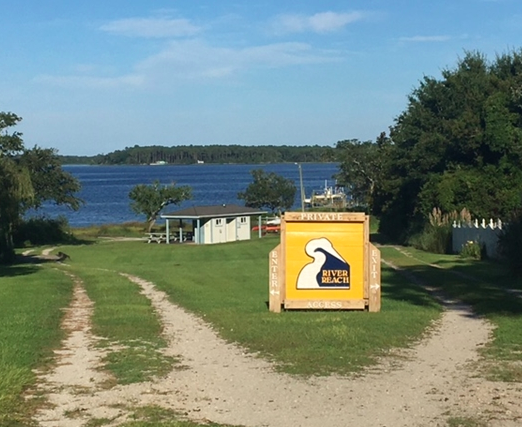 A big plus of this Swansboro property is the vibrant waterfront community. Gather with friends at the community dock and pier. Go fishing, launch a kayak, or try paddle boarding. Rally for events in the historic downtown area nestled by the sea. From parties to parades, you’ll find a steady stream of things to see and do in the Swansboro River Reach neighborhood. 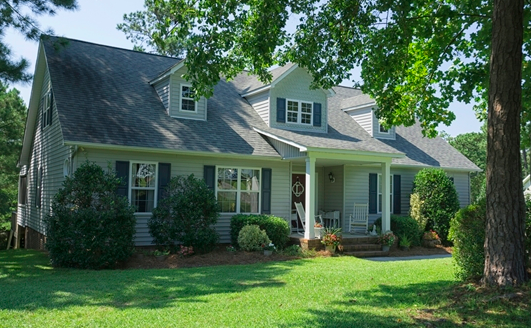 This North Carolina listing is ideal for a young military family looking for an abundance of activities to keep their kiddos busy. If on the other end of the parenting timeline, this home appeals to empty-nesters creating their own paradise. No matter the dynamics of your family, this house is a superb choice when a Camp Lejeune assignment comes along. What other neighborhoods have you been browsing with your MilitaryByOwner house hunt? Do tell! Leave a comment here or reach out to MilitaryByOwner on Facebook!